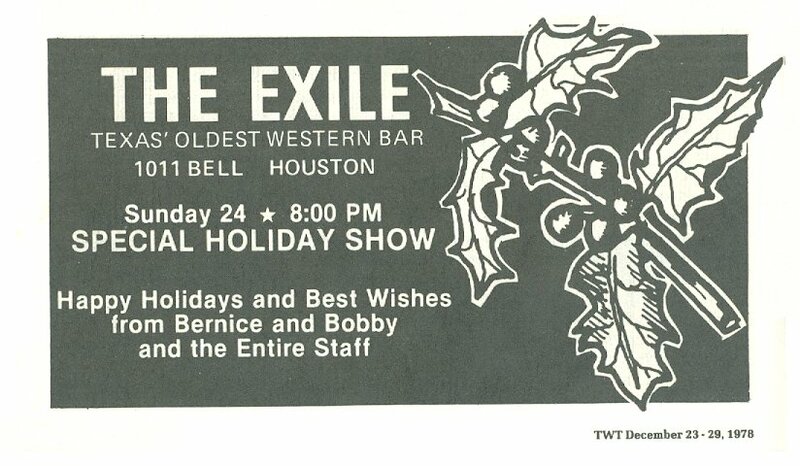 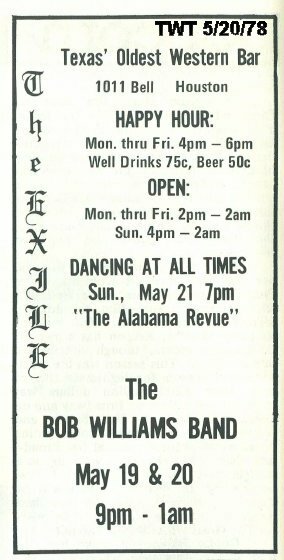 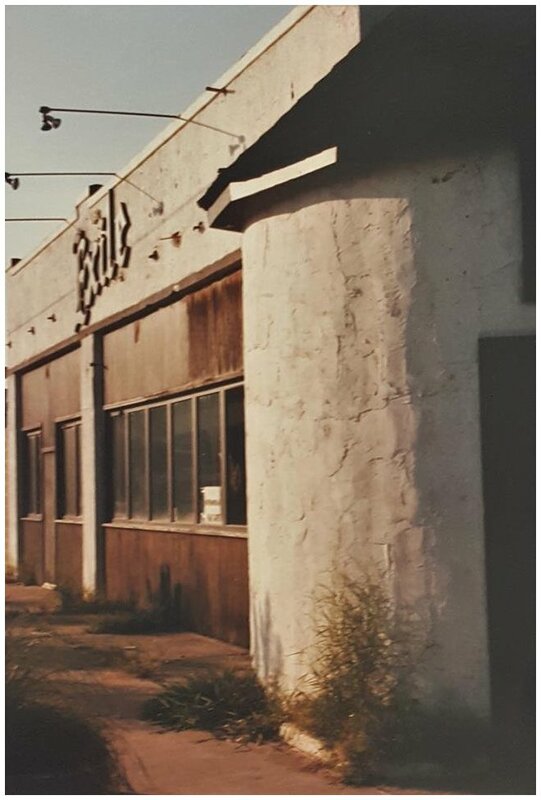 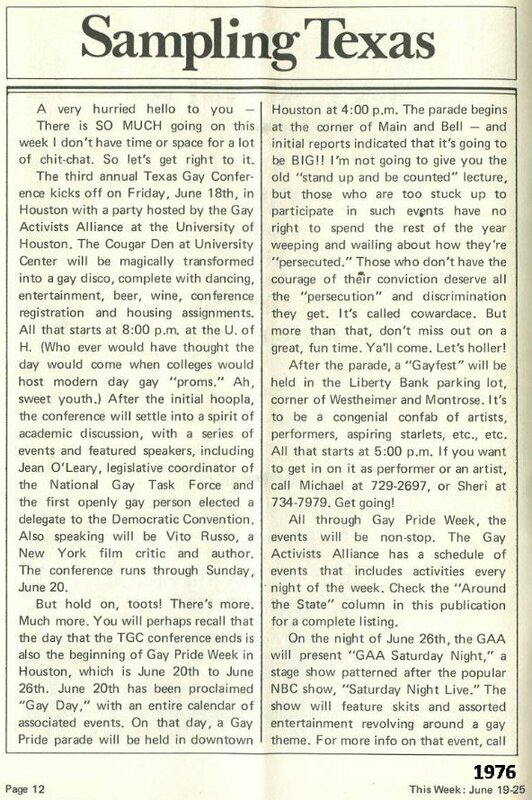 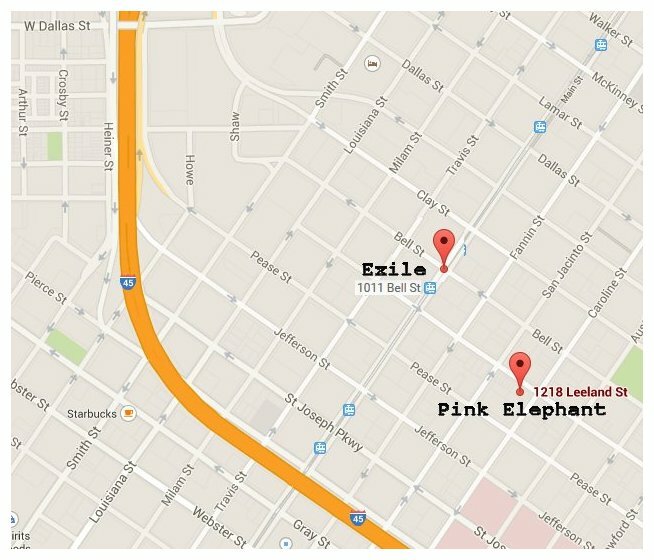 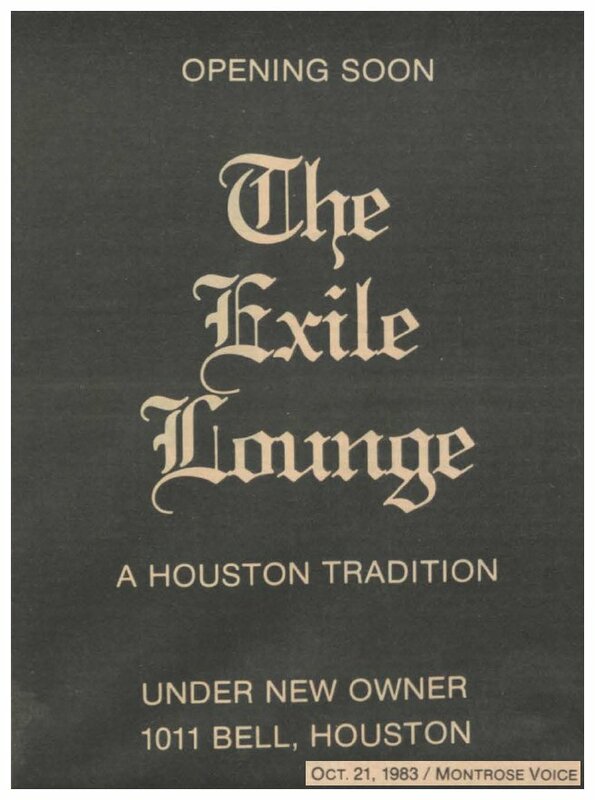 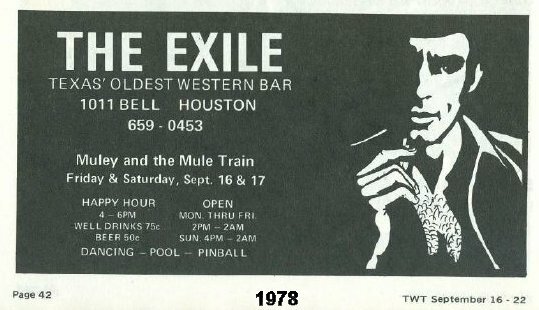 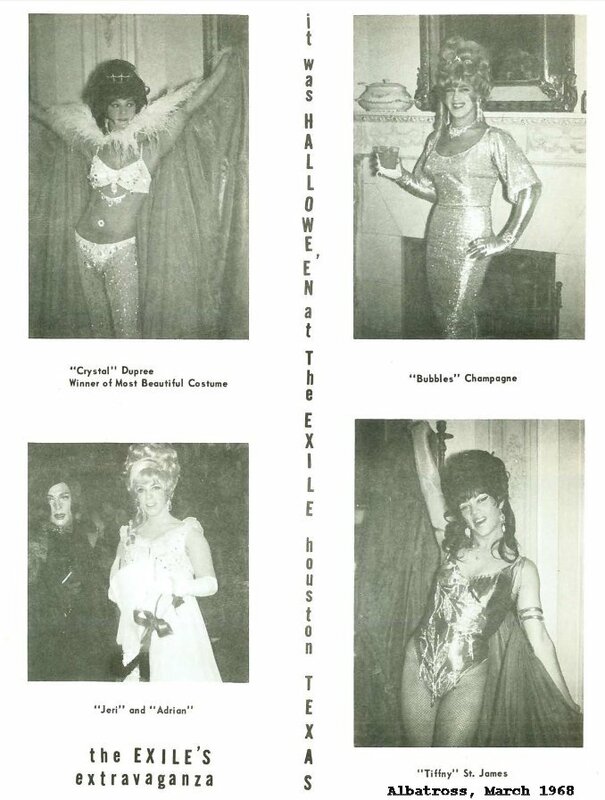 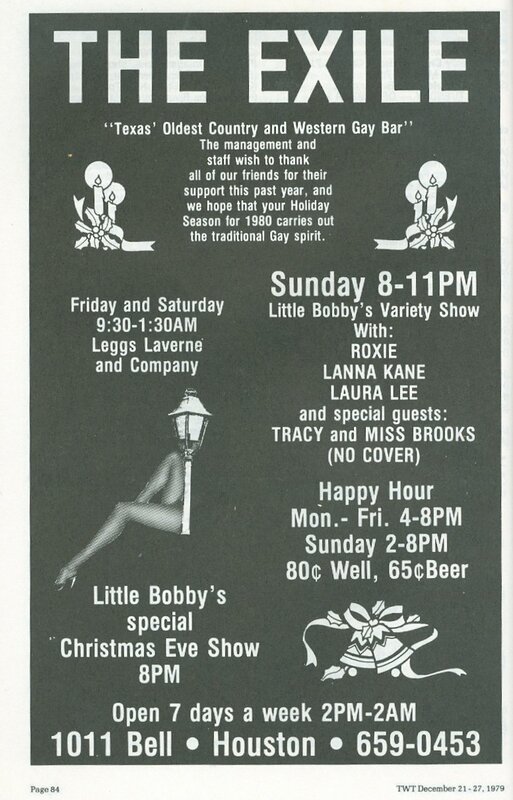 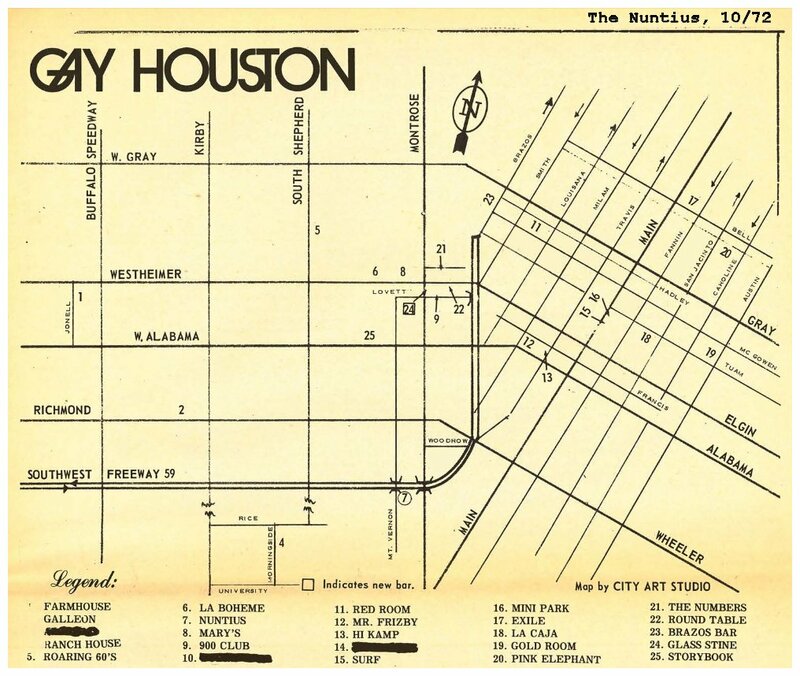 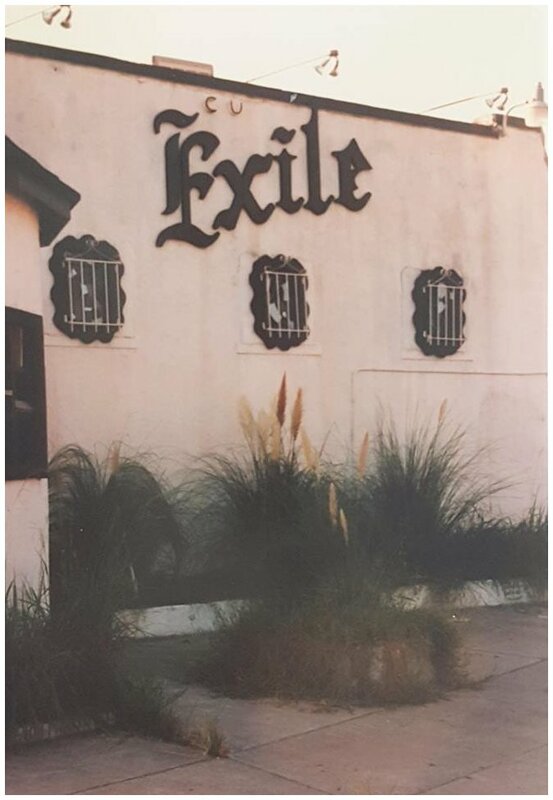 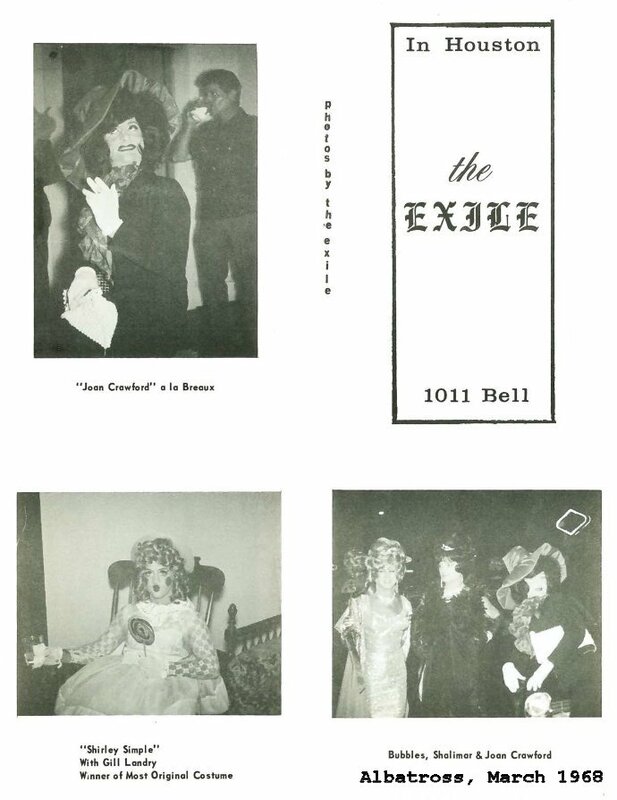 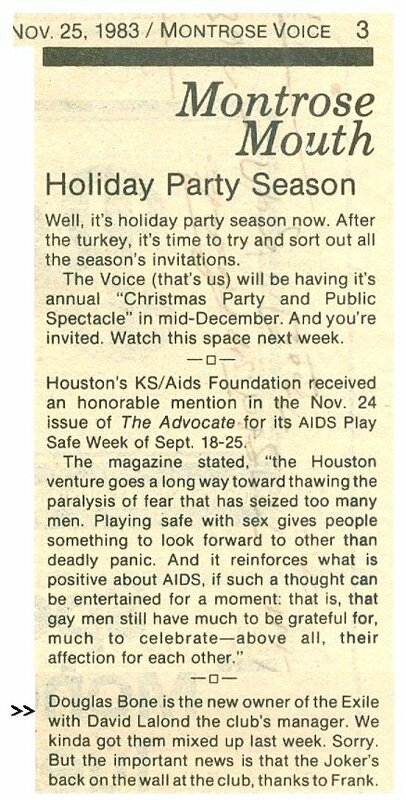 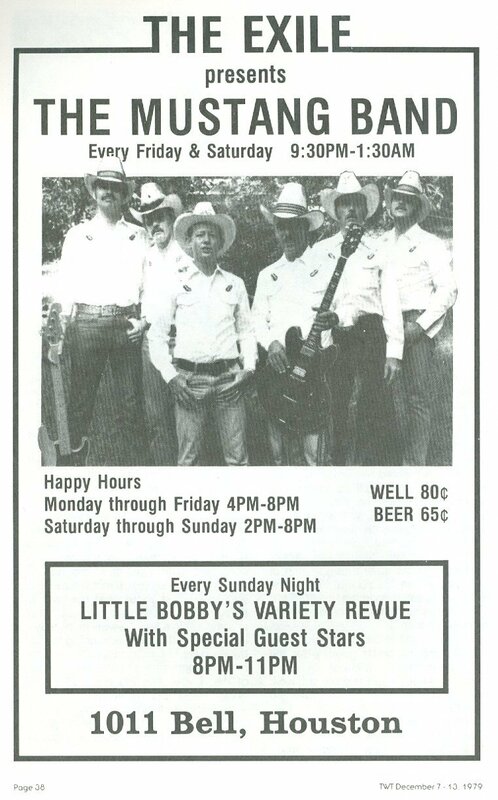 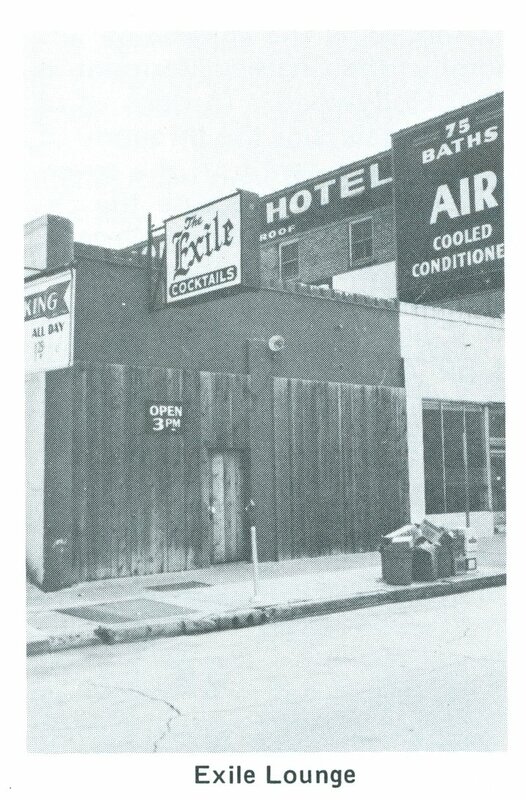 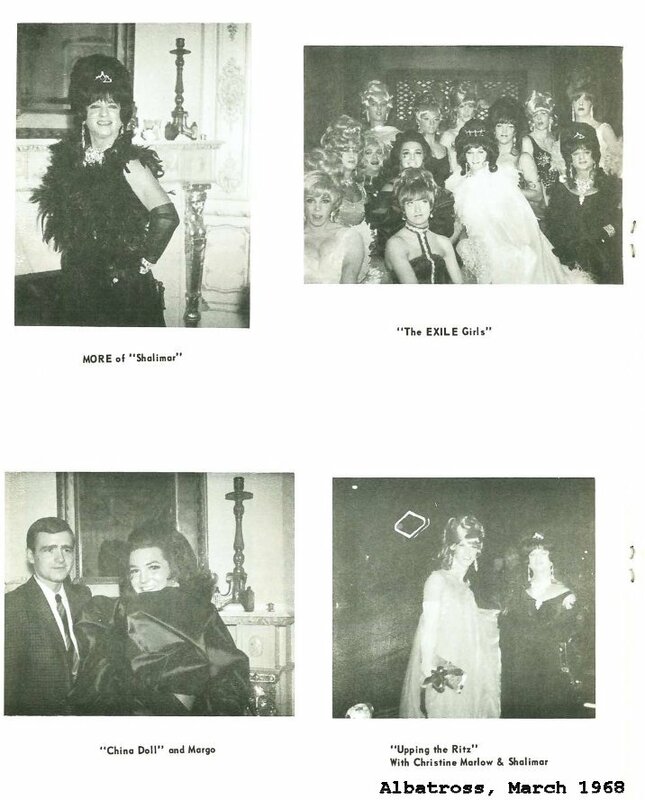 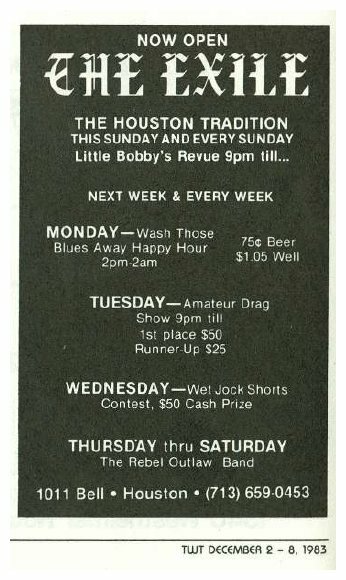 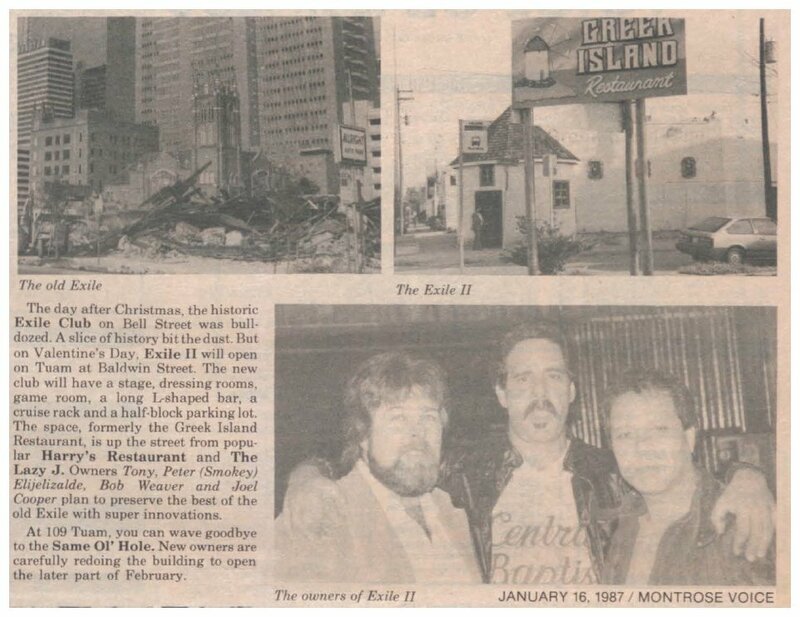 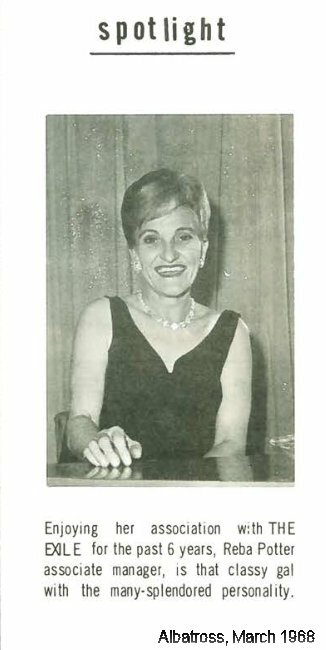 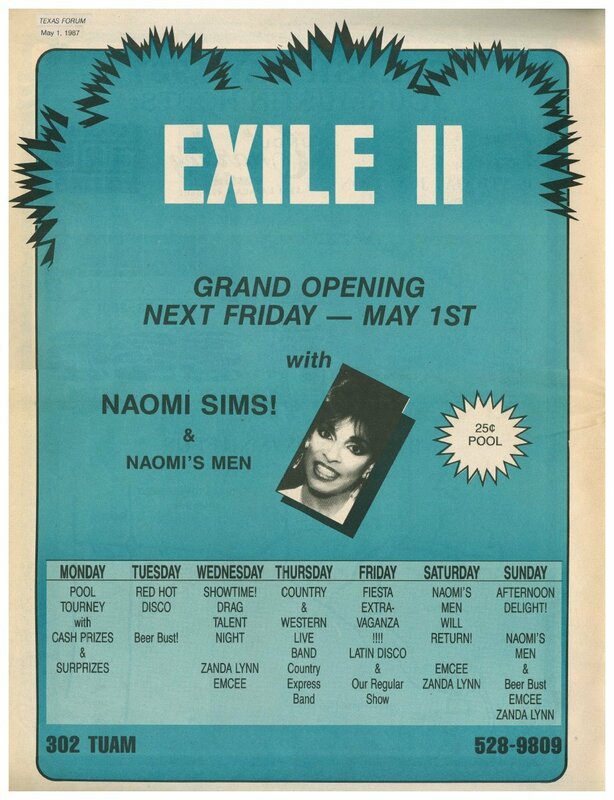 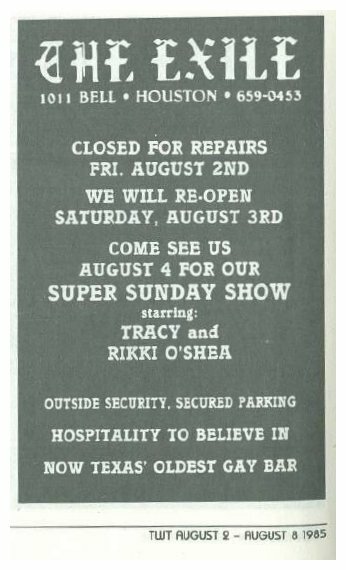 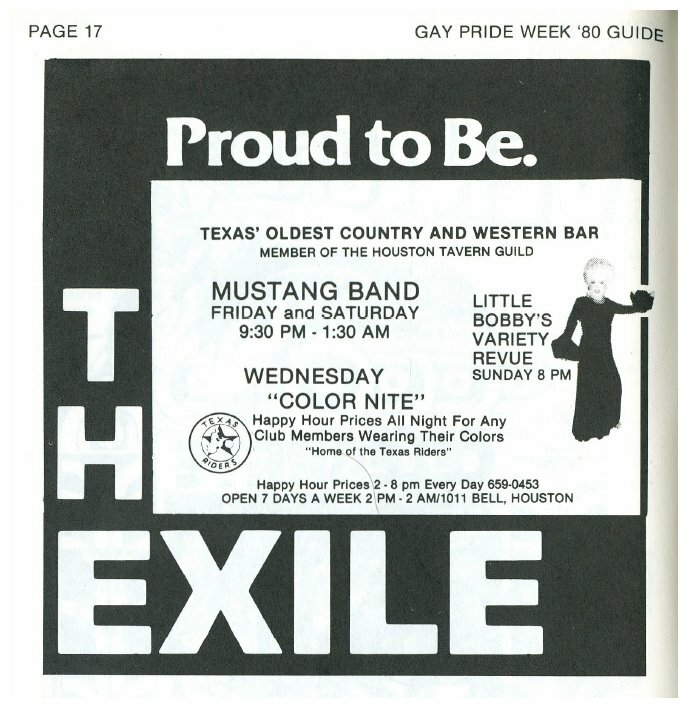 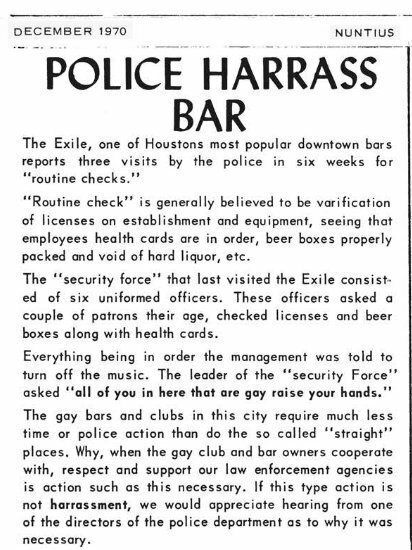 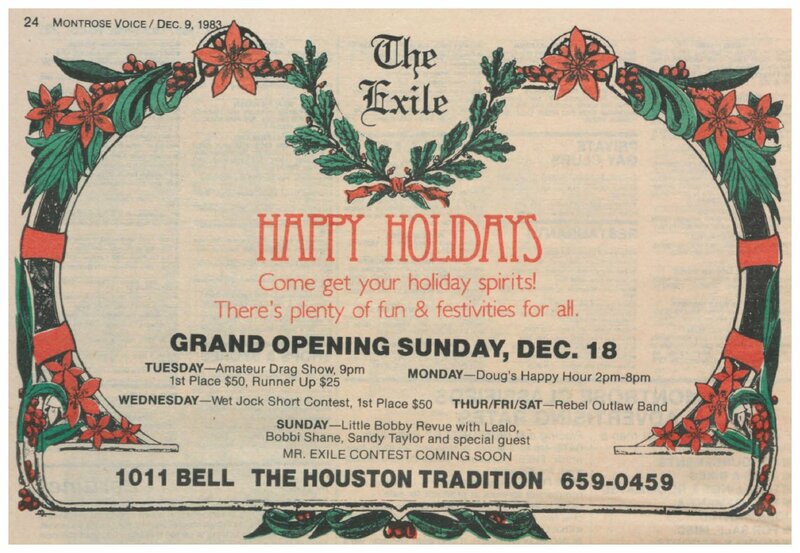 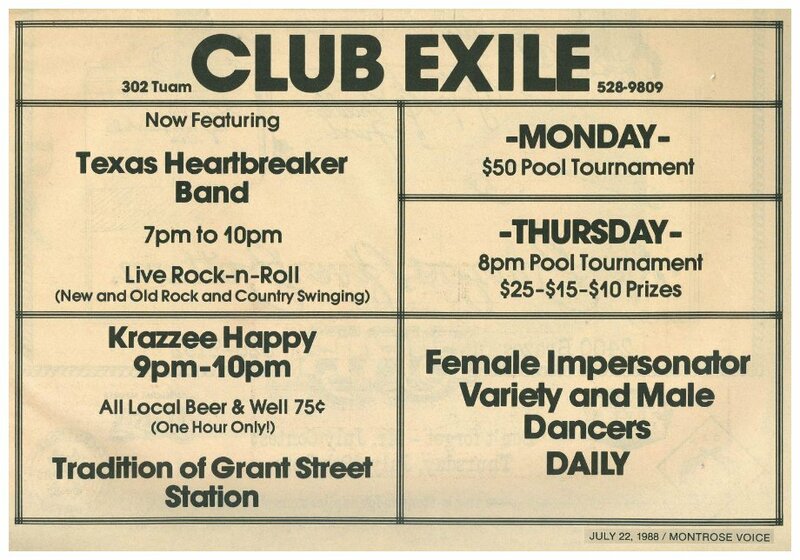 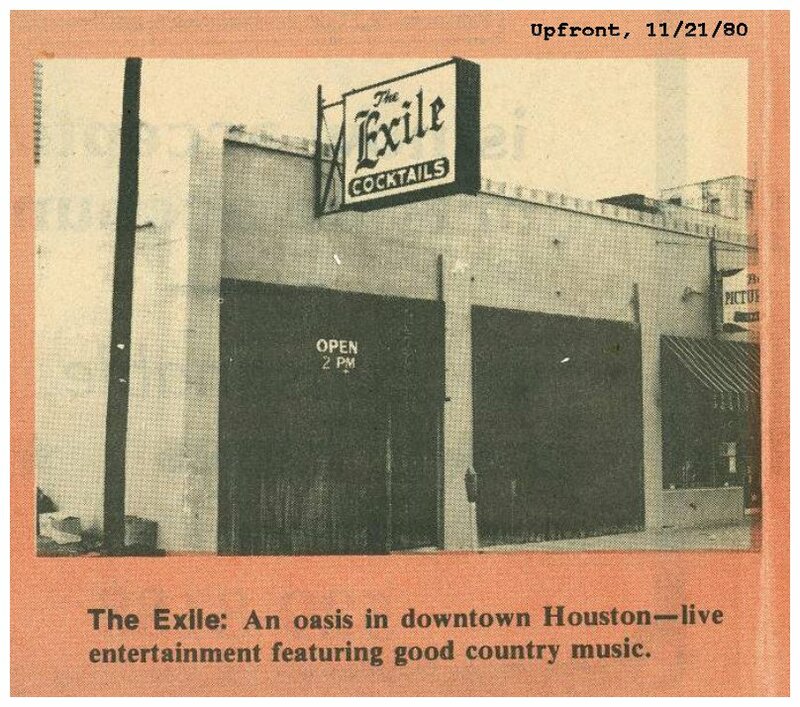 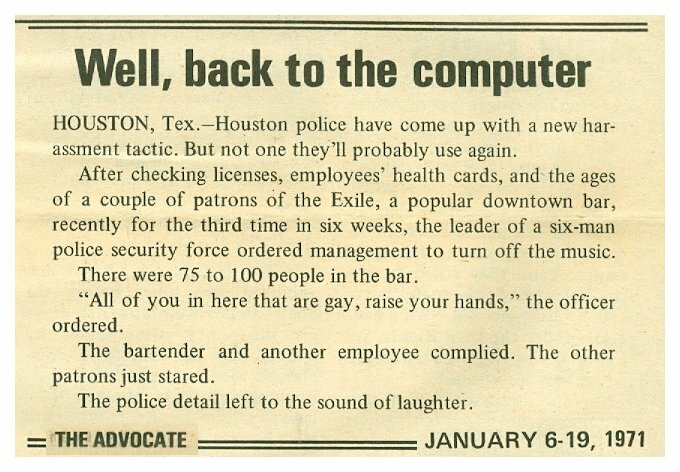 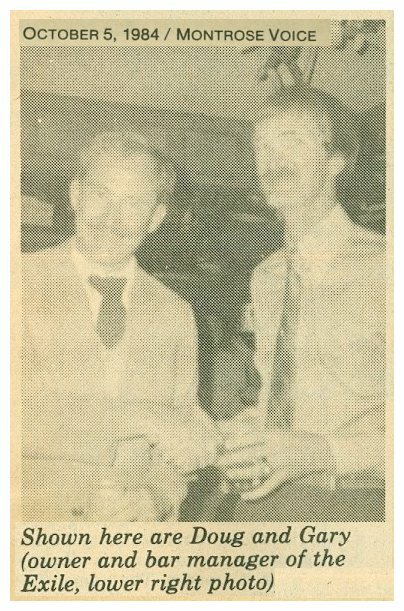 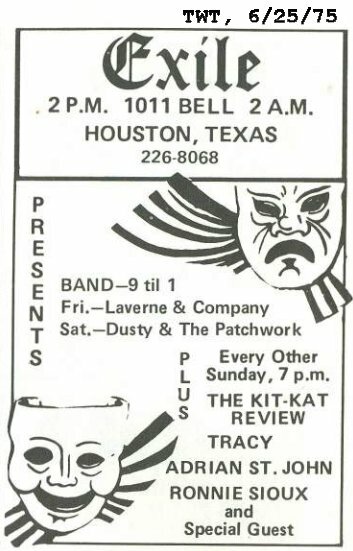 The Exile was in business much longer than most Houston bars, lasting 32 years. 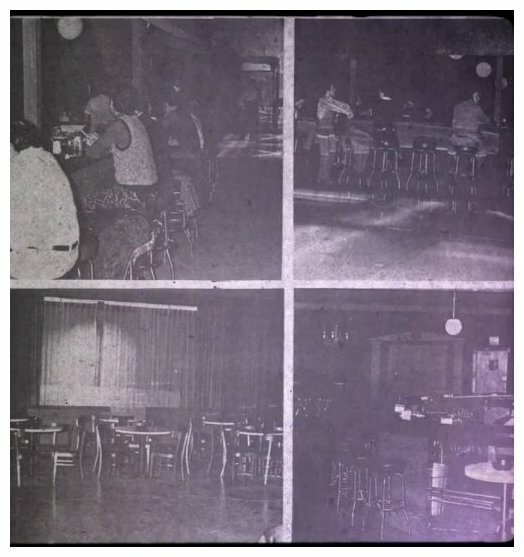 I am grateful for this Montrose Voice story capturing the history. 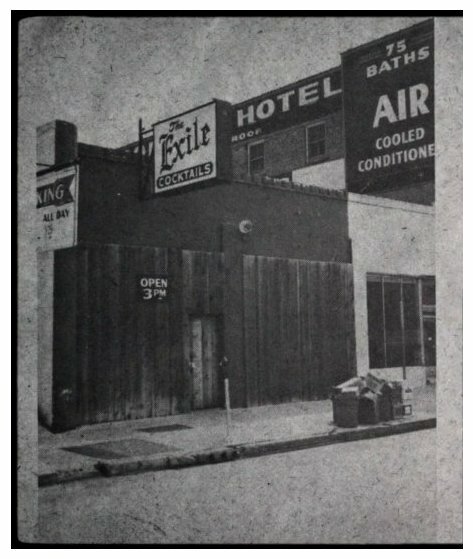 also still calls it the Off Main, as does the ad above. 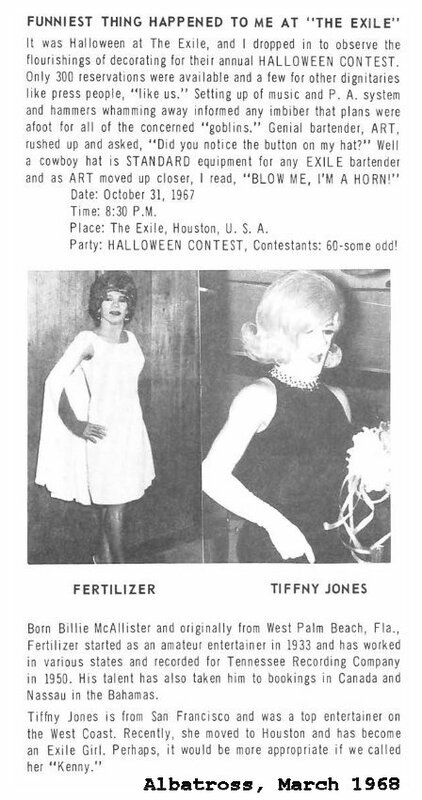 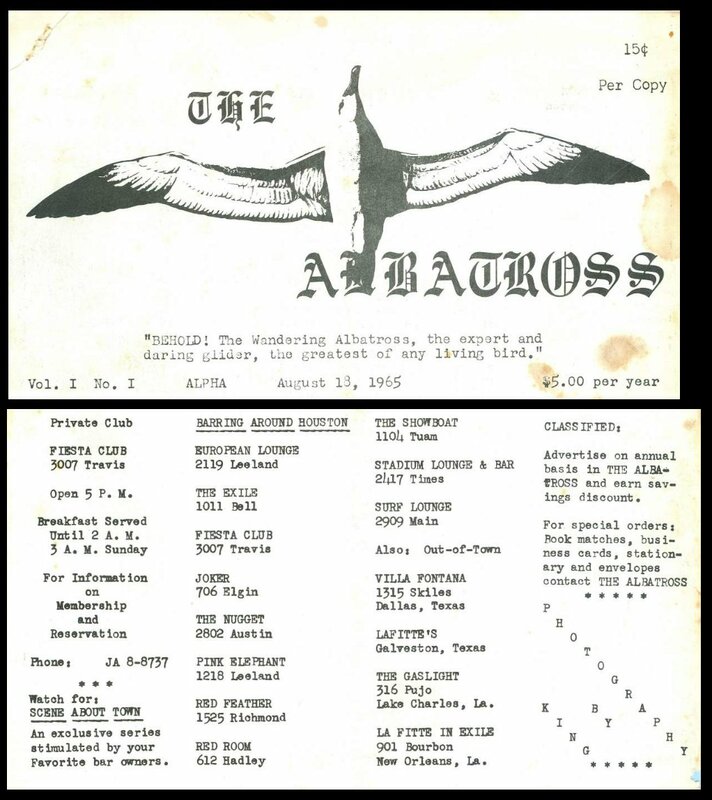 and August 1965 (The Exile's first mention in The Albatross) that was the name change. 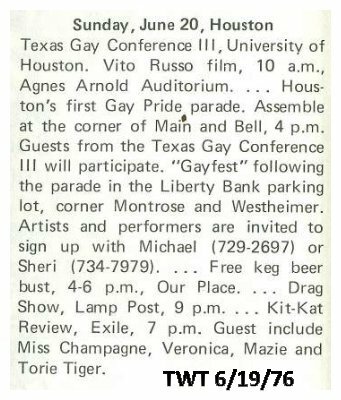 the block and back, but it was the beginning of our parade tradition. 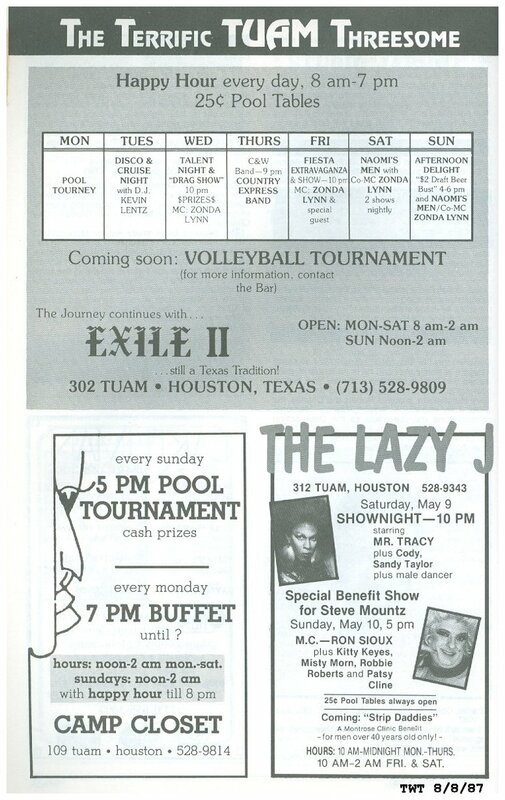 advertizing funds could not be justified, though the bar was still listed in TWT's The Guide unti the end. 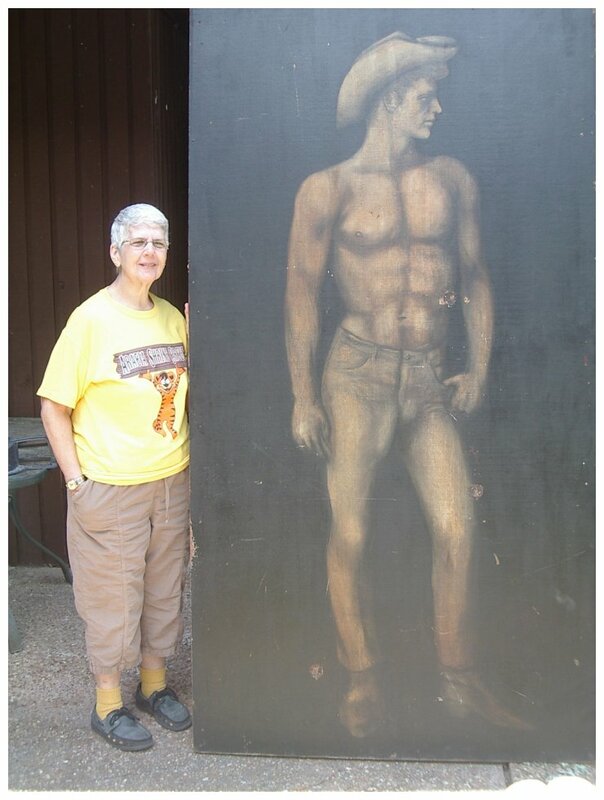 shown with curator Judy Reeves, which gives a perspective that this is a big painting. 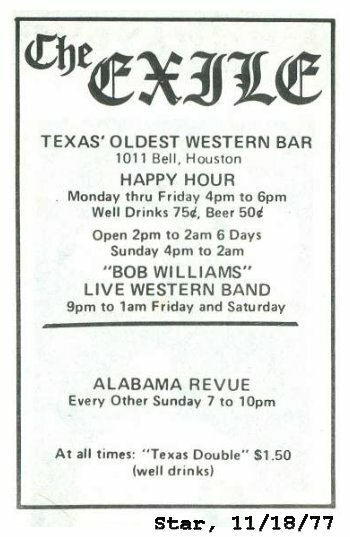 It hung in the bar for many years, until the bar closed. 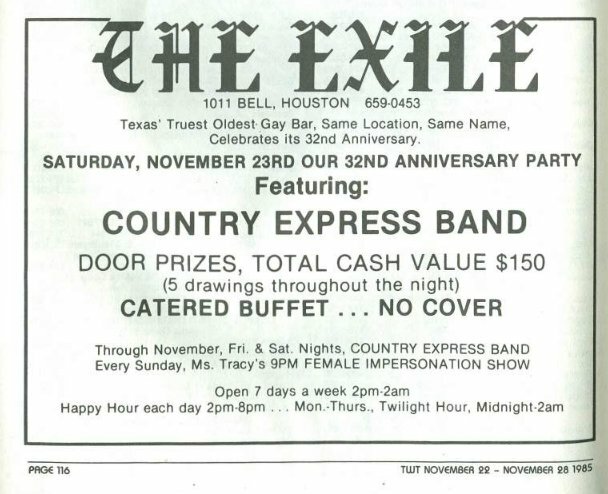 I do not know if Exile II had the same ownership, thought the ad phrasings seem to indicate some connection.